Although similar to the old Jessie J look we know and love. The new look is much softer without the sharp cut fringe. 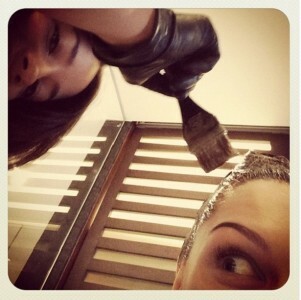 Earlier in the week Jessie dropped hints she was ready for a change, tweeting, “I think I want dark hair again. Brown hair is kinda boring on me”. What do you guys think, is this a better look for Jessie?